SALTO GEO grips, specially designed to improve the operation of SALTO GEO electronic cylinders. Suitable to use with gloves or by disabled people, the new SALTO GEO Grips provide additional grip making the knob easier to operate. SALTO Geo cylinder Grip A model (DDA compliant, adapted to suit disabled people.) 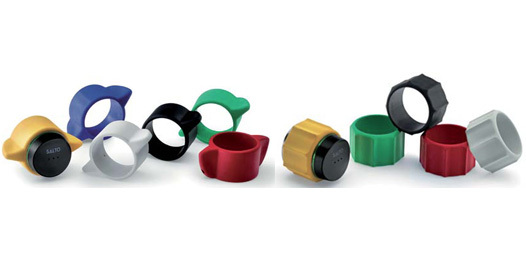 and SALTO Geo cylinder Grip H models are available in different finishes: Red, Blue, Yellow, Green, White and Black. They come with BioCote®antimicrobial technology making them suitable for use in all kinds of applications. Allows anyone with a disability to open doors.